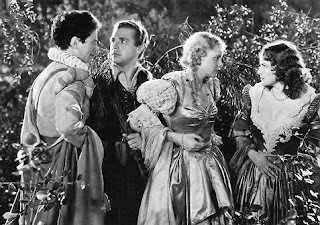 Most people who go to A Midsummer Night’s Dream identify with the four young lovers, Hermia and Lysander, Helena and Demetrius. For them, the magical forest is a sort of “School of Love,” like you often find in opera comedies: all four head for the forest when overwhelmed by wild passion; they get into all sorts of terrible trouble while there (amusing Puck, and many generations of audiences, to no end); and eventually they emerge from the forest, a little wiser and more mature. Like the lovers’ quartet in that other great “School of Love” opera Così fan tutte (another favorite of ours at Seattle Opera’s Young Artists Program! ), part of the joke is that it’s hard to tell these young people apart. “I’ll take the tenor, you take the baritone,” we had the two sisters say (in our supertitles) the last time we produced Così. And that’s really about the size of it: Helena is a soprano, Hermia a mezzo; Lysander is a tenor, Demetrius a baritone. The girls are easier to distinguish because Helena is (theoretically) taller than Hermia; also, Helena is a lot more masochistic (and usually gets more laughs, and more audience sympathy) than Hermia. With the boys, it’s anybody’s guess which is which. It’s brilliant of Shakespeare to make them interchangeable, because it’s so true to human life. You know the type: they’re around twenty years old, they wear hoodies and jeans everyday, have iPods permanently attached to their ears, carefully cropped beard-stubble, and do their utmost to look like and speak like all the other guys. Do you hear how each time one interrupts the other to begin a new vow, they introduce a new harmony? Musically, that’s an extremely rude thing to do when someone’s trying to sing a duet with you! Britten uses it here to show how little attention Hermia and Lysander are paying to each other. Above, the reconciled lovers at Glyndebourne Opera in 2006. In Seattle Opera’s Young Artists production, baritone Michael Krzankowski sings Demetrius, tenor Bray Wilkins sings Lysander, mezzo-soprano Elizabeth Pojanowski sings Hermia, and sopranos Vira Slywotzky and Michelle Trovato share the role of Helena.